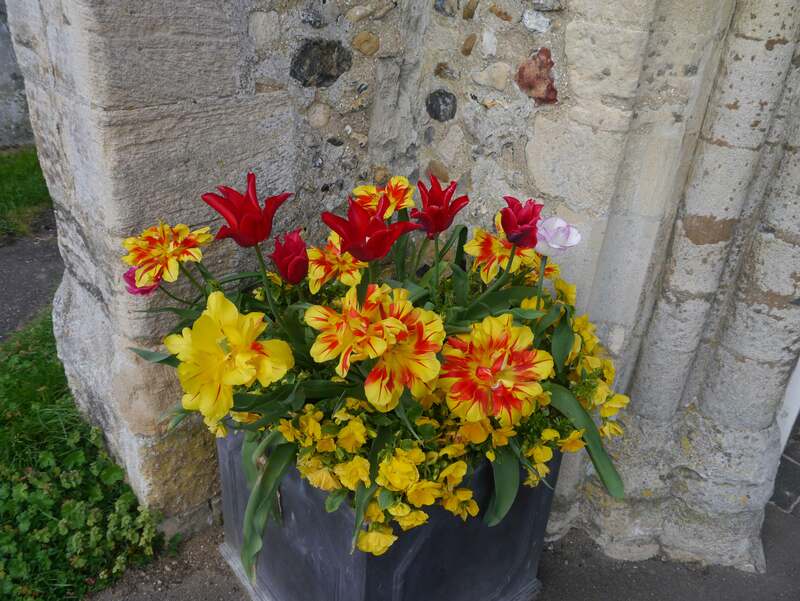 Clare Bulb Co comment: a lovely bright and cheerful flower that remains in flower for several weeks. An excellent variety for containers. 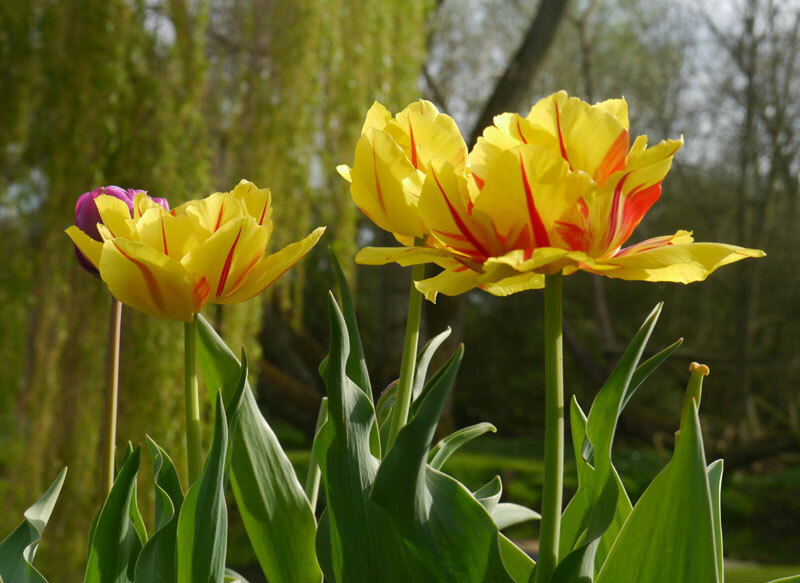 Monsella has in a very short time become our most popular double tulip. 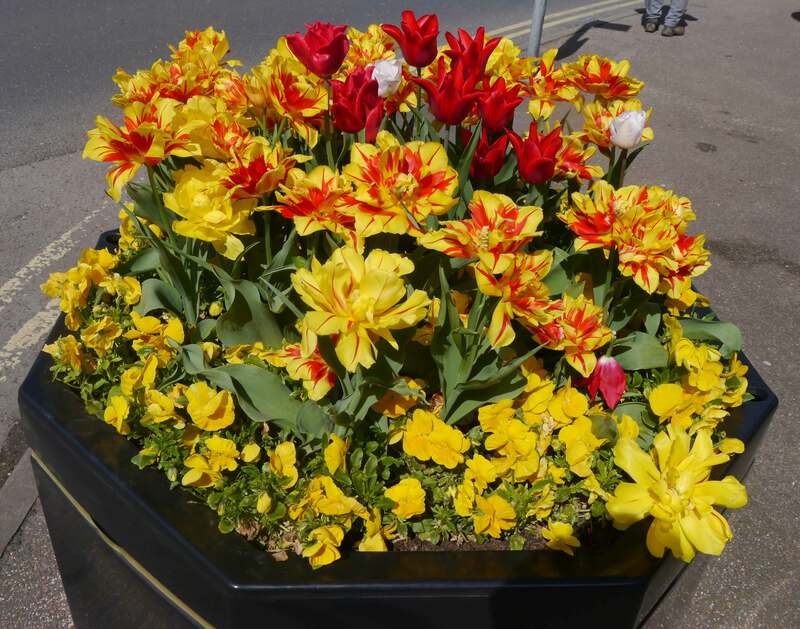 The picture below is of Monsella in Market Street Clare, with the lily-flowering Pretty Woman, in that this colour combination reflects the colours of the Clare heraldic shield. Below that is something similar outside the West door of Clare church, (built in AD1310).